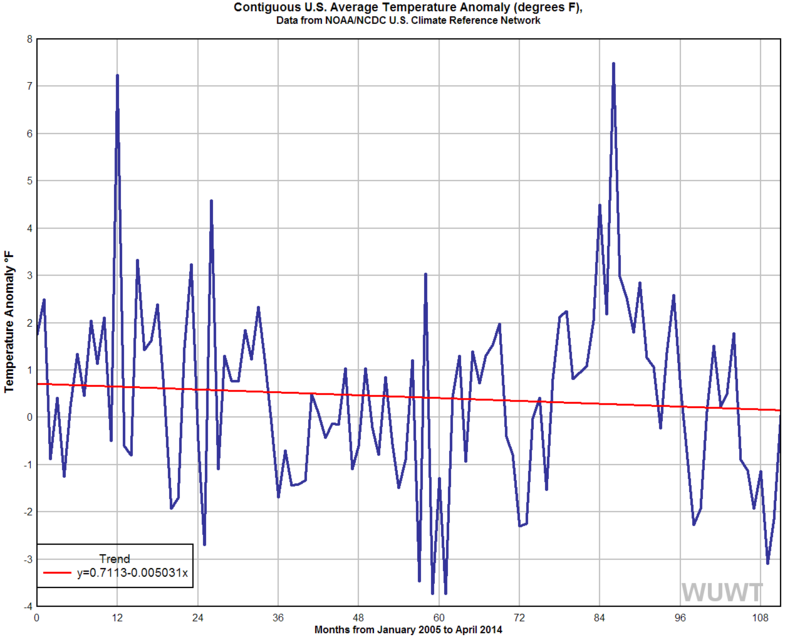 The SPPI Blog » Blog Archive » Scientists and Studies predict ?imminent global COOLING? ahead ? Drop in global temps ?almost a slam dunk? German Geologist Dr. Sebastian Lüning: UN IPCC Models A Failure, ?Have No Chance Of Success? ?Sees Possible 0.2°C Of Cooling By 2020 – His charts show that solar activity correlates well with temperature, which Lüning calls ?a surprisingly good match?. He then presents the various solar cycles that the sun undergoes, going into the works of Gerard Bond, who made temperature reconstructions using layers of ice-rafted material in the North Atlantic. Lüning calls the synchronicity between solar activity and temperature found by Bond ?stunning?. Meteorologist Joe Bastardi on declining global temps: ?Has the admin, the EPA or anyone that can read a chart actually looked at what global temps are now doing?? Global Temperature Standstill May Last 30 Years, Climate Scientist Predicts: Prof. Anastasios Tsonis at the University of Wisconsin?Milwaukee,: ?I would assume something like another 15 years of leveling off or cooling? Earth?s All Time Record High Temp Set in 1913 ? Earth?s All Time Record Low Set in 2010 & 2nd All Time Record Low Set in 2013 ? ?What would warmists say if the dates were reversed?? Climate Scientist Who Got It Right Predicts 20 More Years of Global Cooling ? ?For the next 20 years, I predict global cooling of about 3/10ths of a degree Fahrenheit, as opposed to the one-degree warming predicted by the IPCC,? said [Geologist Dr. Don Easterbrook, professor emeritus of geology at Western Washington University and author of 150 scientific journal articles and 10 books, including ?Evidence Based Climate Science,? which was published in 2011. This entry was posted on Tuesday, August 19th, 2014 at 6:10 am	and is filed under News. You can follow any responses to this entry through the RSS 2.0 feed. Both comments and pings are currently closed.